In Carnatic, there is a saying 'sruthi matha, layam pitha', which means sound of swaras(melody) is like mother, and rhythm is like father of music. There is one more concept called 'harmony', which beautifies the melody, and also supports the rhythm in many ways. Two major elements of harmony are 'chords' and 'base'. We have given the concept of 'chords' in a simple way, which is used for Indian Music. There are 35 types of chords, and 12 chords in each type.We will discuss the important and most commonly used chord types here. 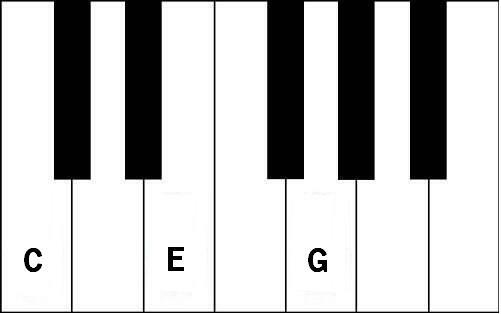 C major chord is written as simply 'C'. C minor chord is written as 'Cm'.